Every website experience downtime at one point or another and there are numbers of reasons behind it. It may be because of some technical issues or due to some maintenance that is carried out on your website. At that time, your site visitors after seeing the broken may walk away and never return back. Moreover, these page 503 service unavailable responses also affect the UX as well as SEO of your website. So, in order to retain some visitors (if not all), you can create a good looking maintenance mode page and add some CTA and email subscription form to notify your visitors as soon as your site is live again. If you are a WordPress user then, a default coming soon page will be displayed when your site is under maintenance. However, the default maintenance mode page provided by WordPress contains a dull background and has a limited number of features. So, to display an attractive and interactive under construction page on your WordPress website, you take the help of WordPress coming soon/maintenance mode plugins. As they contain cool designs and different features for creating a beautiful coming soon page in a few minutes. 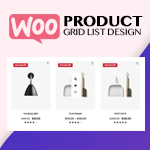 Moreover, with the help of these WordPress plugins, you can also add various call to action buttons like subscription form, contact form, social follow icons and many more. Here, we have collected some of the best highly rated and popular coming soon & maintenance mode plugins for WordPress websites. They contain powerful features that allow you to design and add a visually appealing maintenance mode page for your WordPress website. 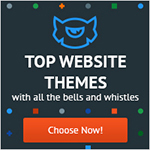 Also, these plugins are well coded and are compatible with all the WordPress templates. 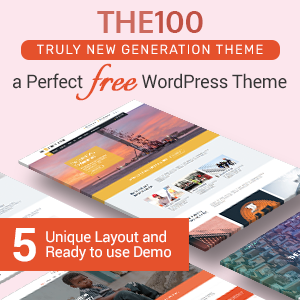 Everest Coming Soon is an ultimate WordPress plugin that allows you to create a stunning landing page that will be displayed when your website is under construction or on maintenance. It comes with 15 interactive pre-designed templates to choose the perfect coming soon page matching your website overall design. It is a highly configurable plugin that contains customizable background configuration for each template. Additionally, using the plugin you can add a countdown timer, contact form, subscription form and social media icons on your coming soon page. Moreover, the plugin also supports analytics that allows you to track down your website visitors. Coming Soon Landing Page and Maintenance Mode is a premium WordPress plugin that is used for a website that is under construction, coming soon or in maintenance mode. It is a perfectly developed plugin that contains all the latest features required to build an elegant and secure coming soon page. The plugin is packed with 10 pre-designed coming soon page templates for building a stunning coming soon landing page in less time. Besides, the plugin allows you to email subscription form, social icons, cooldown timer, contact us button etc on your coming soon page. Also, using the plugin you can also enable/disable search engine restriction on your maintenance mode page. Maintenance Pro is an under construction WordPress plugin packed with advanced features to create a powerful and effective maintenance mode page. It comes with responsive layouts for your coming soon landing page and you can insert 3 types of cooldown timer on it. It is a highly configurable plugin that allows you to create spectacular maintenance mode pages for your website. You can add different items to your coming soon page such as subscription form, social media icons etc. Coming Soon CountDown is a responsive WordPress plugin to create a beautiful under construction landing page on WordPress websites. 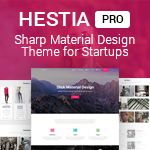 It contains 10 backgrounds types for choosing a coming soon page layout of your choice. Besides, you can also add cooldown timer using any of the 2 pre-available cooldown timer types. It is a highly customize plugin that allows you to configure your coming landing soon page as per your preference. Moreover, the plugins come with 9 types of email marketing platforms and 10 major social media links that can be added to your under construction landing page. 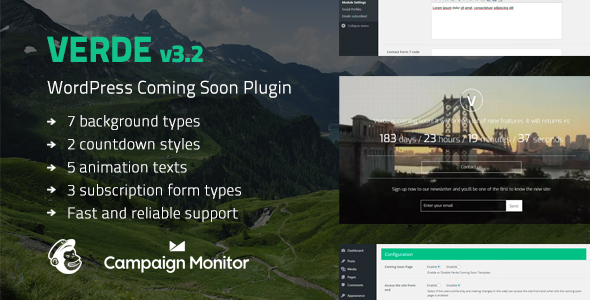 Verde is a premium WordPress coming soon plugin for creating a cool coming soon landing page. It comes with 7 background types for giving the choice to choose the most suitable under construction page background. Moreover, you can also 2 pre available cooldown timer styles for your coming soon landing page. It is a clean and flexible plugin that supports YouTube and Vimeo videos. Moreover, the plugin is also integrated with Google map. Hence, you can add google map on the background of your maintenance mode landing page. A Coming Soon Page can be used as a very useful marketing tool even when your website is under construction or under maintenance. Hope, the article is helpful to you. If there is any queries, suggestions or recommendations related to the article, then feel free to share in the comment box below. 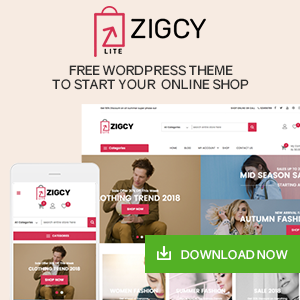 Previous articleBest WordPress Deals for Black Friday and Cyber Monday 2018 – Submit Here! Next articleHow to showcase your clients/sponsors/partner logo in WordPress website using Smart Logo Showcase Lite? 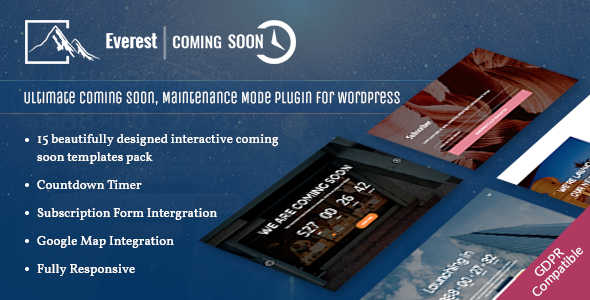 Hey Buddy!, I found this information for you: "5+ Best Coming Soon & Maintenance Mode Plugins for WordPress". Here is the website link: https://wpallclub.com/best-coming-soon-maintenance-mode-plugins-for-wordpress/. Thank you.